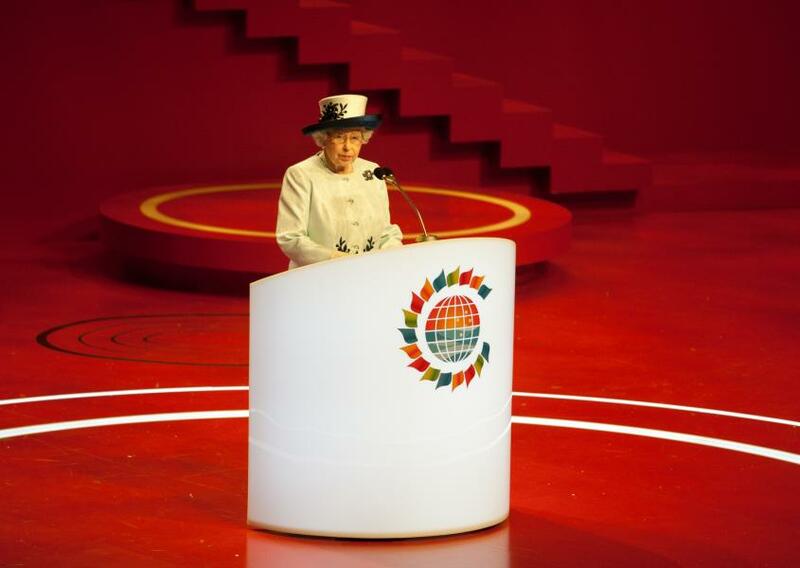 Queen Elizabeth II Opens CHOGM 2011 in Perth. The Commonwealth Heads of Government Meeting (CHOGM, pronounced “Chog-m”) convened in Perth, Western Australia at the end of October. The Commonwealth Heads of Government discussed, among other issues, the Cameron government’s legislation to amend the Act of Settlement, 1700. Among other things, the Act establishes the rules that determine the succession to the Crown of the United Kingdom of Great Britain and Northern Ireland; Prime Minister Cameron wants to repeal male primogeniture through an amendment that would take into account the first-born child rather than the first-born son and repeal the penalty on marrying Catholics (or “Papists” as the current wording says! ), which currently causes a royal to lose his or her place in the line of succession. However, these reforms would still maintain the established Church of England and the overall Protestant succession: the Sovereign, being the Head of the Church of England, and royals in the line of succession who still harbour any desire toward the possibility of becoming King or Queen, still must adhere to the Anglican faith. Perhaps I’m succumbing to typical grad-student phraseology again, but the sheer historical and legal complexity of this issue of the Protestant succession combined with the overlay of the Doctrine of Reception in the former colonies and current Commonwealth realms does not lend itself to a succinct, concise blog entry. I may devote a few more entries to this subject. In this case, I will describe the historical significance of both parliament’s control of the line of succession, in the forms of the Bill of Rights, 1688and the Act of Settlement, 1700, and the Cameron government’s amendments to the Act of Settlement. I will also discuss the implications of the British government’s amendments and how they relate to the Statute of Westminster and the other 15 Commonwealth realms that vest their crowns in the same person, Queen Elizabeth II. The parliaments of the other 15 realms will likely pass legislation of identical effect because all the Prime Ministers of the Commonwealth realms have agreed in principle at the latest CHoGM on the elimination of male primogeniture and the penalty for marrying Catholics. Australian constitutional scholar and Professor of Law at the University of Sydney, Anne Twomey, has suggested that Australia and Canada, as the only two federations among these 16 Commonwealth realms, may face some legal-constitutional obstacles in reforming their version of the Act of Settlement. I support the two proposed changes. I only wish that Prime Minister Cameron in particular were willing to acknowledge that the Act of Settlement contains far more than simply the codification of male primogeniture and the penalty applied to royal marriages to Catholics. In fact, the Act of Settlement and the Bill of Rights represent the triumph of parliamentary sovereignty by vesting power in the crown-in-parliament rather than simply in the Sovereign’s person. As David Starkey explains in Monarchy, the accession of the overtly Catholic James II (brother and first legitimate heir of Charles II) in 1685 caused significant consternation and strife and raised serious constitutional difficulties from the outset because all monarchs after Henry VIII had been the Supreme Governor of the Church of England and Anglican. “James drew up a Declaration of Indulgence, which offered universal religions toleration to all Anglicans, Catholics, and Protestant dissenters.” James II invoked his crown prerogative on enforcing religious toleration in an attempt to impose an absolute monarchy on Great Britain. By 1688, the birth of James II’s son, who would eventually have secured a re-Catholization of Britain, alienated key segments of Parliament and the Church of England – Tory and Whig alike. Parliament then took the “revolutionary and treasonable step” on 30 June 1688 of inviting William of Orange, who had married Mary Stuart (daughter of James II), to invade Britain and become King. William III landed on 5 November 1688 (“another auspicious day for Protestants”). James II underwent a “psychosomatic crisis” after losing faith and convincing himself that God was in fact on William’s Protestant side. His daughters Mary and Anne supported William, and James fled to France in exile later that year. Parliament deemed James II to have abdicated both his own kingship as well as those of his Catholic heirs and successors in the House of Stuart. 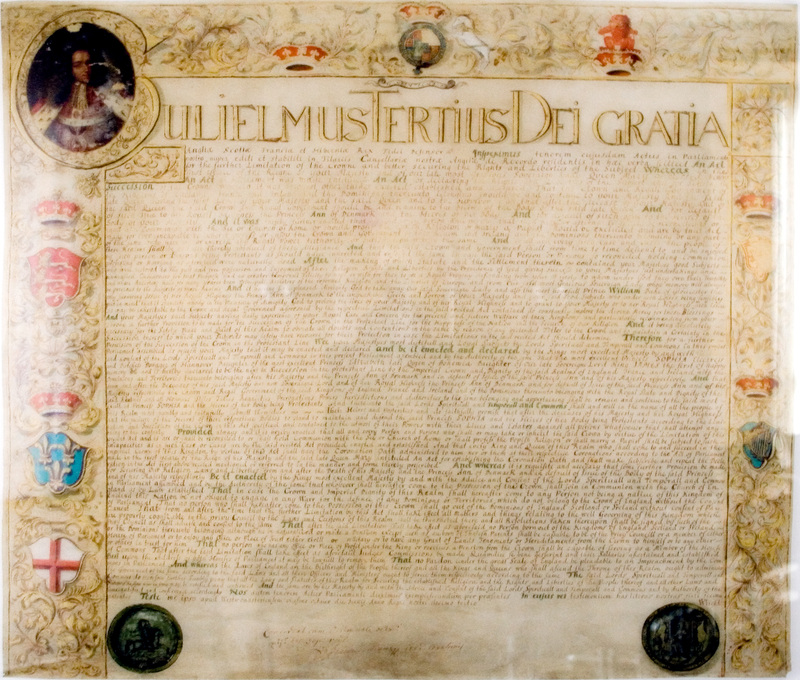 The Bill of Rights, William of Orange and Queen Mary as co-monarchs. Queen Anne succeeded his sister Mary after William & Mary died without issue. “England had in effect elected a King and Queen. England and the monarchy would never be the same.” Thus the “Glorious Revolution” and the Bill of Rights secured the Protestant succession and Parliament’s authority to determine that line of succession through “an armed yet bloodless invasion”. David Cameron dismissed the penalty for marrying Catholics as “an historical anomaly” and betrayed the legacy of liberty that the Bill of Rights and Act of Settlement secured. If anything, this provision is an anachronism, not an anomaly: the penalty for marrying Catholics used to serve a valid and necessary function, but in the 21st century, it no longer performs any legitimate function, and Parliament should therefore repeal it. The legal Doctrine of Reception means that Canada, and the other Commonwealth realms, have at various times “received” English statutory and common law to the extent that those laws proved relevant in the colonies. (See Peter Hogg’s Constitutional Law of Canada for detailed information on reception). This reception undoubtedly included the Bill of Rights, 1688 and the Act of Settlement, 1707. The Parliament of Canada can therefore amend the Canadian version of this act, subject to the written constitution. Anne Twomey, Professor of Law at the University of Sydney, delivered a presentation to the Constitution Unit “Changing the Rules of Succession and the Problem of the Realms.” She concluded that the Statute of Westminster does not empower the Commonwealth realms with a veto over the sovereignty to the British Parliament to amend the Act of Settlement, 1700; however, it is certainly in the best interest of all 16 realms to coordinate their respective legislation in order to avoid bifurcating the 16 crowns. Changing the Rules of Succession and the Problem of the Realms from Department of Political Science on Vimeo. Twomey suggested that s. 41(a) of the Constitution Act, 1982 might require the use of the unanimity amending formula in order to change the rules of succession to the Crown of Canada, depending upon the interpretation of “Office of the Queen, Governor General or Lieutenant-Governor of a Province.” Twomey suggested that that “Office” refers to the powers and functions and not to the rules by which the succession to the Crown of Canada is determined. I concur with this interpretation and hope that the Government of Canada will argue that Section 41 (a) “Office of the Queen, Governor General, and Lieutenant-Governor of a Province” refers to the crown prerogative, or the powers, functions, and existence of the office – not the rules by which the line the succession is determined. If this interpretation stands, then the Parliament of Canada could probably amend the legislation unilaterally, though the Government of Canada may choose to consult the provincial governments. 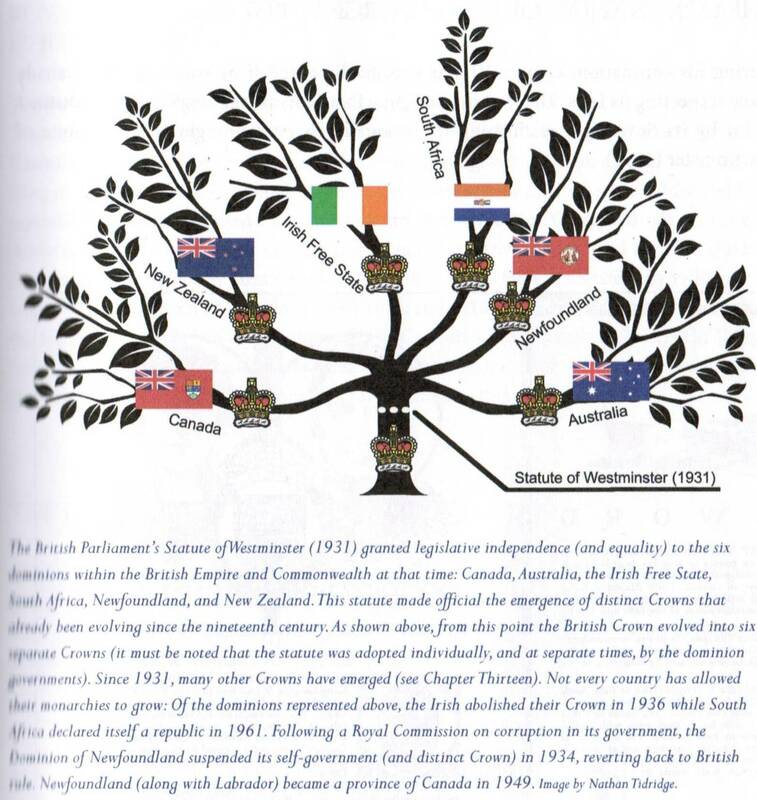 So far, only Tony O’Donohue v Her Majesty the Queen in Right of Canada, Her Majesty the Queen in Right of Ontario offers any kind of interpretation of the Act of Settlement in Canada. However, I found some parts of the ruling contradictory, and because it came from a lower court, the Ontario Superior Court of Justice, a higher court could well overturn it. Tony O’Donohue alleges that the “certain provisions of the Act of Settlement are of no force or effect as they discriminate against Roman Catholics in violation of the equality provisions of the Canadian Charter of Rights and Freedoms.” The ruling correctly states that by the doctrine of reception and because of the importance of the law, the Act of Settlement has become part of Canada’s unwritten constitution. As such, the Charter cannot be invoked in order to strike down any part of the Act of Settlement, because logically every part of the constitution, written or unwritten, is inherently constitutional (even if certain points come into conflict). The courts therefore cannot use one part of the constitution to strike down another. In addition, the Court acknowledges that even if the Canadian Act of Settlement were successfully challenged, the Canadian ruling would have no force and effect in the United Kingdom. This conclusion conforms to the Doctrine of Reception and recognizes the separation of the British and Canadian versions of the statute. Tidridge shows that the Statute of Westminster, 1931 formally created the independent crowns of the Commonwealth Realms. Then the ruling starts to become inconsistent. At paragraph 17, it says that “the impugned portions of the Act of Settlement are a key element of the rules governing succession to the British Crown.” But if they already established that the Canadian version of the Act has no bearing on British succession, then logically it cannot effect the “British Crown”, but only the Crown of Canada. This phrase is also problematic because it implies that the Crown of Canada and the Crown of the United Kingdom are one and the same entity, even though they are constitutionally separate because of the Dominion Conferences of 1926 and the Statute of Westminster, 1931. But at paragraph 34, they say that only an act of the Parliament of Canada made Edward VIII’s abdication of the “Crown of Canada” effective. Then at paragraph 36, the ruling argues that “Canada is united under the Crown of Great Britain, ” and paragraph 27 asserts that “we […] share the Crown with the United Kingdom.” In reality, we don’t share the Crown with the United Kingdom: our two crowns are just held by the same individual, Queen Elizabeth II. Second, paragraphs 34 and 36 seem to contradict one another on the constitutional distinction and uniqueness of the Crown of Canada relative to the Crown of the United Kingdom. The ruling argues that the Statute of Westminster acts as a treaty and that “the rules by which succession is determined” act as “the core of how the monarchy functions” (para, 38); therefore, amendment to the Canadian Act of Settlement would “bring about a fundamental change in the office of the Queen” and require the use of s. 41 (a) of the Constitution Act, 1982 (para 33). The judges based that assertion on the interpretation of the Statute of Westminster as “a treaty among the Commonwealth countries to share the monarchy under the existing rules and not to change the rules without the agreement of all signatories” (para 33). This argument does not make sense for several reasons. First, the term “Commonwealth countries” cannot be used interchangeably with “Commonwealth realms” because of the 54 member-states of the Commonwealth of Nations, only 16 are constitutional monarchies that recognize Elizabeth II as their head of state. Second and most fundamentally, Professor Twomey presents a thorough and convincing case why the Statute of Westminster should not be considered a binding treaty. It is an act of the British Parliament, the last piece of legislation that the Imperial Parliament passed that truly affects the Dominions by formally ensuring that “the United Kingdom would no longer impose British statutes on the various dominions without their accord.” Perhaps more importantly, its “signatories” only included the six self-governing Dominions of 1931 (Australia, Canada, the Irish Free State, New Zealand, Newfoundland, and South Africa); Ireland and South Africa have since become republics, and Newfoundland has since became part of Canada. A treaty would necessarily need to be updated in order to take into account all these significant changes and that there are 16 Commonwealth Realms today. O’Donohue incorrectly applies the rules by which succession is determined to section 41 (a) based on the faulty interpretation of the Statute of Westminster as treaty. Since this premise is incorrect and some of the other premises contradict one another, I can only conclude that the overall conclusion that succession falls under “office of the Queen” is therefore also wrong and deeply flawed. The Constitutional Settlement of 1688-89 constituted what American historian Steven Pincus has dubbed “The First Modern Revolution”: in this case, Parliament asserted its power to determine the royal line of succession and destroyed the notion of the Divine Right of Kings and monarchical absolutism. Parliament selects the monarch, not God. England sowed the seeds of this Glorious Revolution in the 1640s and 1650s during the brutal civil wars between the Royalists and the Parliamentarians (the Roundheads and the Cavaliers) and the Cromwellian Protectorate; without significant bloodshed, Parliament had revolutionized England and laid the foundation for parliamentary limitations of the royal prerogative, constitutional monarchy, and representative government. Parliament deemed the Protestant succession a necessary condition for the preservation of parliamentary sovereignty and English liberty and so enforced that principle in the Bill of Rights, 1688 and the Act of Settlement, 1700. The penalty for marrying Catholics has long since become an anachronism, and the Westminster Parliament certainly possesses the power to repeal this measure. Theoretically, a member of the Royal Family could marry any “dissenting [non-Anglican] Protestant”, a Jew, a Muslim, a Hindi, or whatever and still retain his or her place in the line of succession; only marriage to a “Papist” would forever bar them from the throne. The Statute of Westminster does not empower the 15 other Commonwealth realms that also recognize Queen Elizabeth II as their head of state with a veto over the sovereignty of the Westminster Parliament: a) because the Doctrine of Reception means they have all received the Bill of Rights and Act of Settlement into their bodies of law, and that they would therefore separately and independently amend their received Acts of Settlement and b) because the Statute of Westminster recognized the legal and constitutional independence of the self-governing colonies. If the British Parliament can no longer legislate for the Commonwealth realms, then logically the parliaments of the Commonwealth realms cannot legislate for the United Kingdom – because each country’s parliament exercises its sovereignty only within the confines of its territory. However, it is in the best interest of the Commonwealth Realms to coordinate this effort if they all want to vest their separate crowns into the same person, as has been the historic practice. Again, I would argue that such “bifurcation” is possible. Each country has received the Act of Settlement and incorporated it, implicitly or explicitly, into its body of law and can amend its legislation accordingly as long as the crown remains with a descendent of Princess Sophia of Hanover. The corollary of this principle might mean that the parliament of a Commonwealth realm could abolish the crown altogether – except those like Australia and Canada, whose parliaments are subject to written constitutions and amending formulas. Any such amendments would not affect the first two royals in the line of succession (Charles Prince of Wales and the William Duke of Cambridge) because they are both first-born children married to Protestants; the new rules would first directly apply to the children of Will and Kate. If the repeal of male primogeniture is enacted, then the first-born child, rather than first-born son, of Will and Kate will follow William in the line of succession. I expect that the Harper government will introduce the necessary legislation in the 2nd session of the 41st Parliament and devote a significant portion of the next Speech from the Throne to these historic amendments. The Prime Minister’s Office issued this press release on during the CHoGM but so far hasn’t made any new announcements. I’ll keep an eye on key developments and write about them as the information becomes available. This entry was posted in Crown (Powers and Office), Succession (Sovereign), The Personal Union and tagged Abdication Crisis 1936, Act of Settlement, Anne Twomey, CHOGM, English Bill of Rights, liberal-constitutionalism, male primogeniture, O'Donohue v Canada, s.41(a), Statute of Westminister, succession to the throne, The Glorious Revolution. Bookmark the permalink. Having read all the relevant documents, I have to disagree with your analysis. As Justice Rouleau mentioned, the preamble to the Constitution Act of 1867 specified that Canada would be a Dominion under the Crown of the United Kingdom (“British Crown”), and far from contradicting that, the Imperial Conferences and the Statute of Westminster reinforced the shared nature of the Crown. The preamble of the Statute of Westminster states that *because the Crown is shared*, changes in law affecting succession must be assented to by the Parliament of each Realm, thereby ensuring the rules of succession remain uniform throughout the Realms despite legislative independence. Changing the rules of succession would either require the assent of the other Realms or the repeal of those parts of Canada’s constitution which require the Crown to be shared, both of which are beyond the reach of the court. Thus, a Charter challenge to the rules of succession is non-justiceable. You only see a contradiction because you wish to believe, in contravention of Canada’s written constitution, that the Crown of the United Kingdom and that of Canada are separate entitites because they are governed by separate laws. However, it is the uniformity of those laws which allows the Crown to be singular, and both the unity of the Crown and the uniformity of the laws governing succession are constitutionally enshrined. It is true that the Crown has a different persona in each jurisdiction – termed “the Crown in Right of” that jurisdiction – allowing it to act in each independently, but the Crown itself is singular. You’re absolutely correct Steven. The Statute of Westminster did not divide the Crown which is indivisible. The Crown in right of Canada or a Province is the same as the Crown in right of the United Kingdom. Canada shares the same Bill of Rights and Act of Settlement as Britain, and so we are part of the ‘Communion of the Crown’. Only a constitutional amendment can change this.